Dw. Dunphy On... America Wants to Believe (Again): The Return of "The X-Files"
Series primaries announced this week a limited series return. It is with equal measures of hope and fear that fans of the X-Files learned it would be resurrected again, this time as a 6-episode event series. The series’ home base, Fox Television, had fairly good success with their 24 event, returning Jack Bauer (Kiefer Sutherland) to the small screen, and the talk of an X-Files revival began almost immediately after 24 ended. Both of the primaries, David Duchovny and Gillian Anderson, are back on board, as is creator Chris Carter. Less certain are the surrounding characters that filled out the show such as Mitch Pileggi’s buttoned-down Walter Skinner, the overseer of the X-Files project but more often than not a “babysitter” for the unpredictable Fox Mulder (Duchovny). Whether William Davis’ “Smoking Man” shows up again is hard to say, but his shadow both literal and figurative, looms large over the series and its mythology. It’s been a strange road for the primaries of the show. Carter had a few projects in the mix with Fox TV, but they never seemed to take hold as X-Files did. Spin-off Millennium came and went, but there is a belief that the two worlds may somehow merge for the mini-series. One expects that Lance Henriksen’s Frank Black will return. 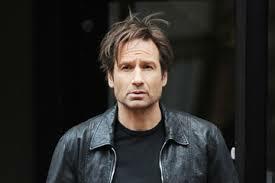 Duchovny went on to star in the long-running Showtime series Californication. Anderson went back to her adopted home of England and made a new mark for herself in highly regarded drama adaptations, such as her transformative role in Charles Dickens’ Bleak House. Writer Vince Gilligan and one-time guest star Bryan Cranston met on the show, and out of that meeting came a relationship culminating in Breaking Bad many years later. The thing that will hold X-Files the mini-series back — which was less an issue with 24 — will be its final 2 or 3 seasons of the show which saw cast collapses and tonal collapses alike. After a few excellent episodes which injected humor into the mix, the series started leaning heavily on stunt episodes and uncomfortable self-awareness. There were added characters, played by Annabeth Gish and Robert Patrick, to fill the void left by Duchovny. Then were the two movies, one pretty good and the other pretty awful. 24, on the other hand, had a consistent tone throughout its run. One could argue that’s why the series ended, because it became a terrorist-huntdown-of-the-week. Viewers of last summer’s event welcomed the show back and embraced some of its more radical changes, but at it’s core, it was the same as it had ever been. That is a problem that the X-Files will have to surmount in some way. How do you make some kind of narrative sense of years of stuff the most loyal fans would gladly like to forget? We’ll have to see to find out. The announcement has opened a torrent of speculation as to what other shows would be fodder for these sorts of truncated, one-shot seasons. Running to the top of the list seems to be Joss Whedon’s Buffy The Vampire Slayer and Firefly. Problematically for the latter, as loyal and fervent as the fans, calling themselves the Browncoats, are that may not be enough. The continuation film, Serenity, underperformed and saw the death of two of the key characters…yet Whedon and large portions of the cast have offered enthusiastic support behind something emerging some day. Even through his time on ABC’s Castle, star Nathan Fillion has expressed this is something he would like to do. Yet the better money seems to be with Buffy The Vampire Slayer, which has less baggage behind it (and likely fewer special effects costs). It’s an interesting time for American television now that the U.K. model of non-specific seasons has been successfully adopted. Credit The Sopranos and Mad Men for leading the way and for showing that long absences from TV screens actually might make the heart grow fonder, not forgetful. How this plays out with the X-Files is yet to be seen. By Chris Carter’s own admission, all that we had was an announcement of intent. Nothing’s actually been scripted. The truth may yet be out there but, for the time being, it’s not down on paper, much less on video. One last thought: how the series functions in 2016, when it is presumed to air, will need to be much different than how it did in the 1990s. The past has never been short of conspiracy theorists, but I don’t believe it has ever been quite as heavy on the culture, both in pop culture or in the political world, as it is now. It isn’t that we want to believe anymore. It’s that everyone believes too much and seems to be begging for proof to not believe in just about anything. That kind of step from a nation of skeptics with a handful of fringe “truth seekers” to a nation that thrives on a plethora of beliefs and the odd bag of cynics has to affect how the series resolves itself. That, and the fact that everyone has a video camera right in their pocket now, and massive personal exposure on the Internet, means that there should be more evidence of the paranormal to choke on, not less. How the makers of the show move from information dearth to landslide would be fascinating, but would it actually be the same show by that point?